On Sunday 23 September at 16.00 there will be a preview during the Festival Opening `The New Freedom` at Podium Mozaïek. 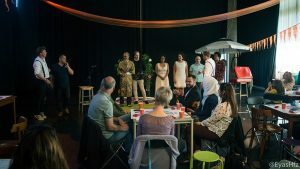 This living exhibition takes place during the international ExploreZ Festival and consists of theatrical performances at the Van Eesteren Museum, near the Sloterplas in Amsterdam. Lost City, ZID Theater’s latest theatrical performance, is about the city but this time we’re going to reverse the debate. We are not going to address the big city’s problems, politics, its pros and cons, but the quest of the people living in that city; the people who together make up the city of today, and their relation with it. ZID’s performers will look for answers to questions such as: Do we live in a city where we can be ourselves? How does the freedom of the individual relate to the city in which we live? Are we free individuals within that city and is there still room in the city to express that freedom in our own individual ways? 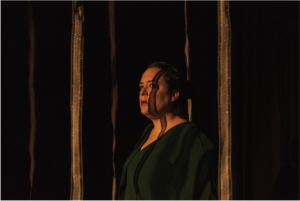 Director Karolina Spaić and ZID’s always adventurous performance ensemble made up of professionals and neighbourhood actors respond to these questions with passion and personal involvement. The beautiful new building of the Van Eesteren Museum and the exceptional locations around the Sloterplas play a special role in the performances during the ExploreZ Festival. At these locations it is as if the past inspires us to tell new stories about the city of today. The performers strive to let go of ingrained rules and conventions imposed from outside and open themselves up to real contact with the other. They look for solutions for our city, which is in danger of succumbing under the pressure and relentless commotion of everyday life. The best way out seems to be mankind itself, as the only unifying force. Like no other, we humans are capable of changing our drives, of reversing our thinking and thereby choosing a new direction. The audience follows a route that takes them along short performances and installations through a living exhibition made by personal stories about and from the city of today. It is an experience in which reality meets theatricality and where theatricality responds to our daily lives. The performances are a cross-over between the disciplines of theatre, dance, music, and visual art. Before and after there is a continuous additional programme outside the museum, featuring other short performances and a space for exchanging reactions and experiences. 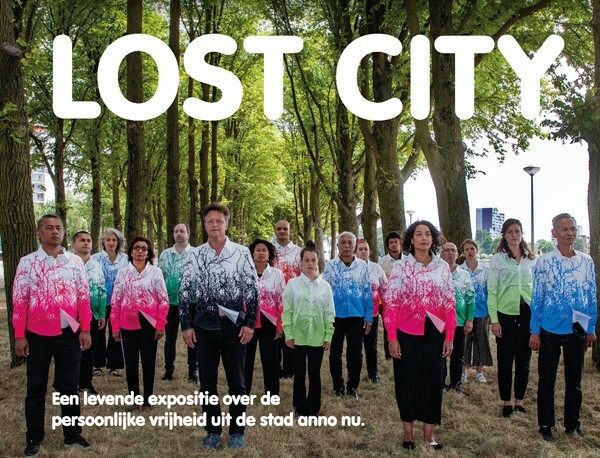 As a theatrical performance, Lost City fits in well with museum, historical and heritage locations by linking the stories and unique architecture of the sites to city residents and the theme of freedom. With its diverse group of performers ZID represents the city residents of the Netherlands of today. The encounter with a local audience has been integrated within the artistic concept as a crucial element of the performance. We meet each other and through personal stories and an intense experience we try to come closer to each other. 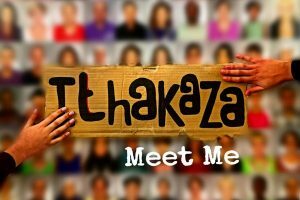 We are looking for answers to current questions concerning personal and social freedom that may lead to a new perception through differences and similarities. as there is only a limited number of seats, making reservations is advisable.